Renowned as the founder of Make-up Artist Magazine and IMATS, Michael Key is also an Emmy Winning Artist known for his work on Star Trek, Cone Heads and Planet Of The Apes. This trade show has such an international reputation; makeup lovers and top industry professionals alike anticipate the event each year. We are regular attendees each year, always in the audience to watch Michael welcome Oscar winners and other top artists onto the IMATS stage. It was very exciting to have him in the Academy. 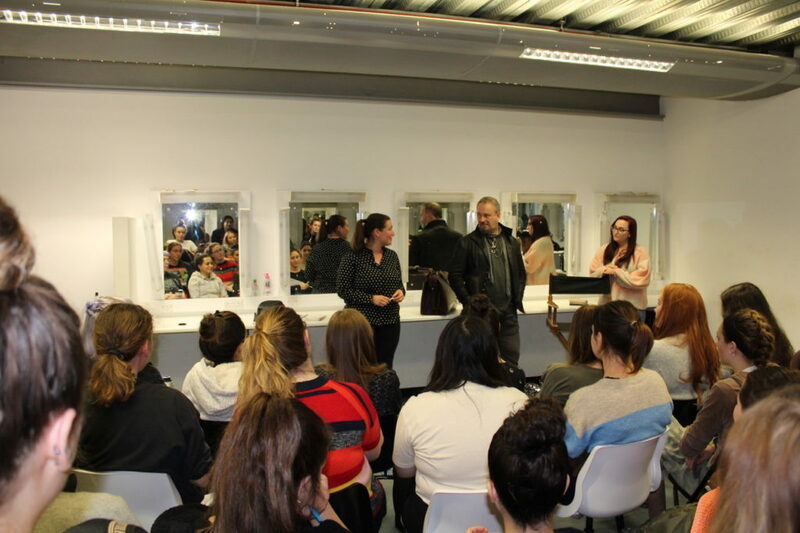 We were very lucky to get some advice from Michael on succeeding as a make-up professional. The first piece of advice that Michael gave was about knowing who’s who in the industry. With an example that you can be standing next to a designer or other leading industry professional… but don’t know who they are. This shows the importance of research and knowledge. Look at the leading players in the industry; look at who has been nominated; research the previous winners/nominees and build a picture of who might be employing you one day. Give specific compliments – it’s no good speaking to a top make-up designer and saying “I love your work” if you cannot discuss the details of their work. Appreciate that London is the Media epicentre of the world. We are all so lucky to train, live and work here. 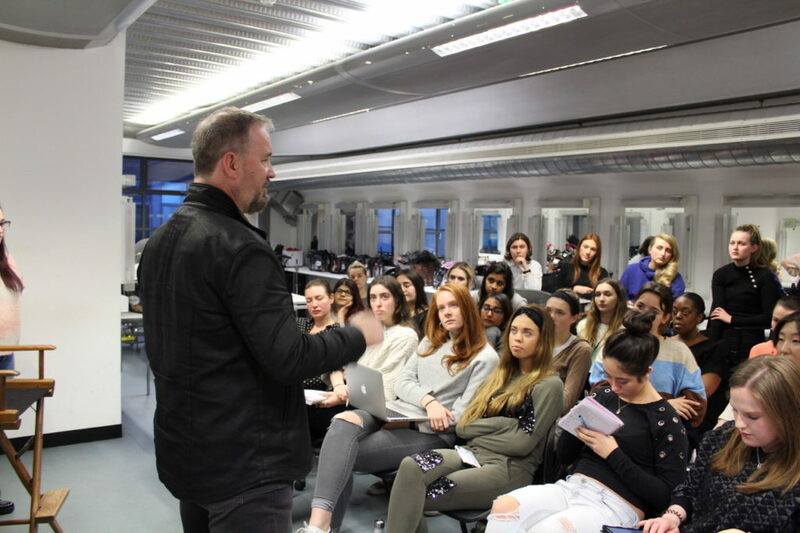 Students were encouraged to never take this for granted and think about how many top make-up artists have made their way from remote places to work here with all the top studios/opportunities are right on our doorstep. Get business cards made with your face on them. Michael then went on to explain that make-up artists are visual people with a memory of faces, but often not names. Therefore these top make-up artists might ask for your business card at IMATS, have a load of business cards in their pocket and only remember the people who put their face on said card. It’s not a very British thing to do, but with nods exchanged around the room, we all realised the Americans have the right idea here. 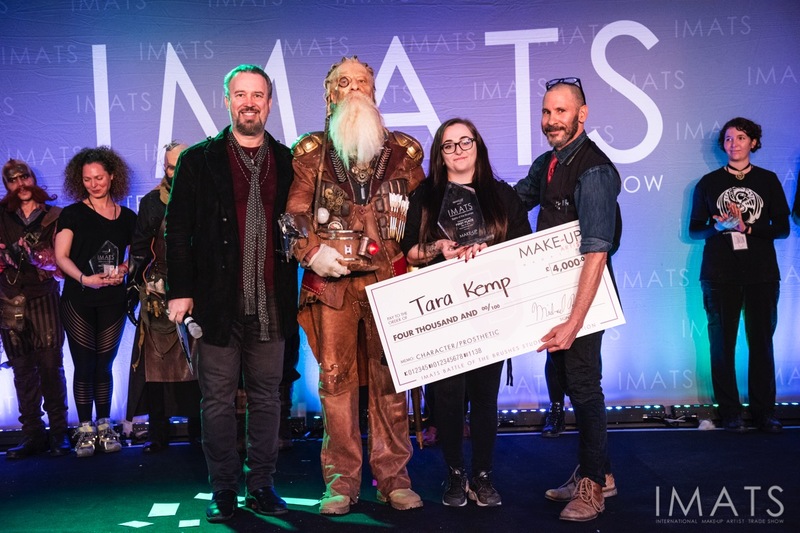 Battle of The Brushes 2018 winner Tara Kemp spoke about the process of entering the competition, how exciting it was and how her life has changed since winning. Not only has Tara started working on some big feature films, she has also made some huge industry contacts. 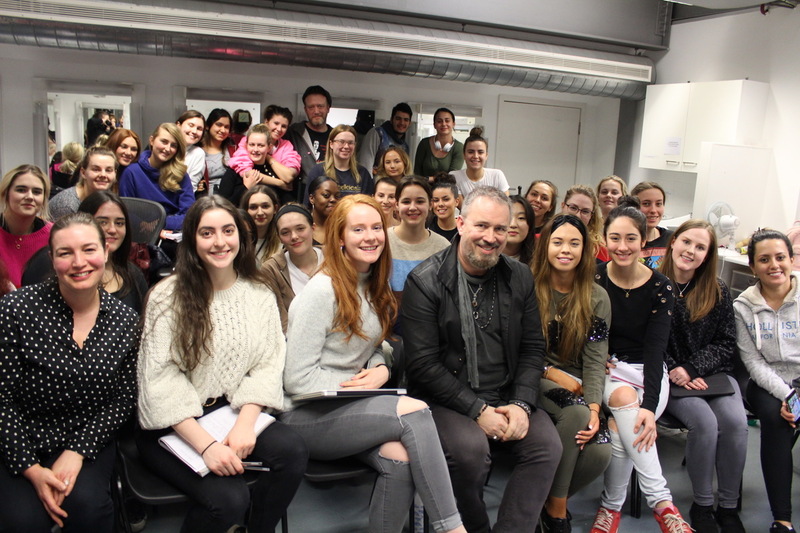 We were so pleased to host Michael and our students left feeling so inspired by the talk. 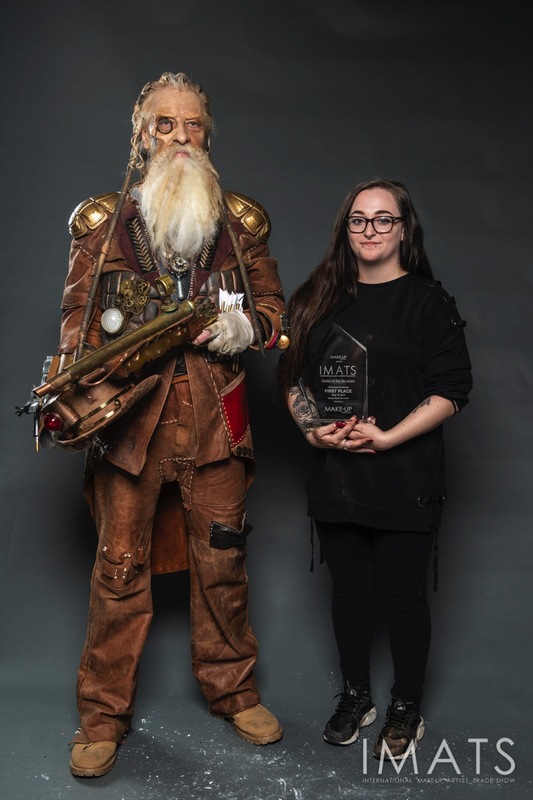 The 2018 runner up in Battle Of The Brushes was our own graduate Kitty Noofah, so we hope to continue Delamar’s involvement with this brilliant competition showcasing up and coming artists, then providing them with the opportunity to impress top people in the industry. If you wish to enter Battle of The Brushes, you can find out more information here. To get your Pro Card for IMATS, you can look here.